The lion-mask stem is a hollow stem made by blowing a gather into a mold patterned with two lion’s masks, usually separated by festoons. 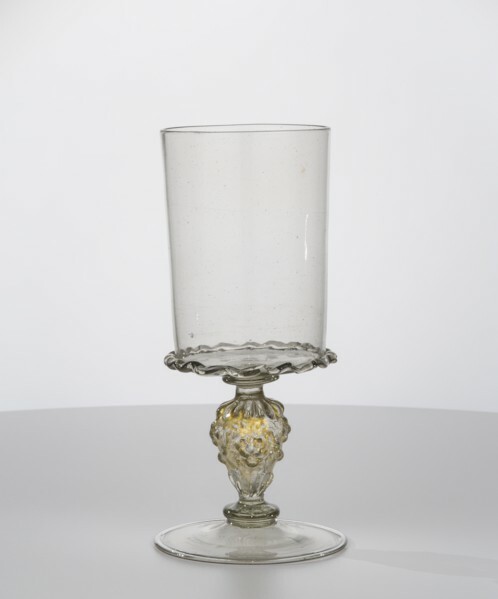 Such stems were first used in Venice in the 16th century, and they later became a hallmark of façon de Venise glass. In this video, a lion-mask stem is blown in a mold. 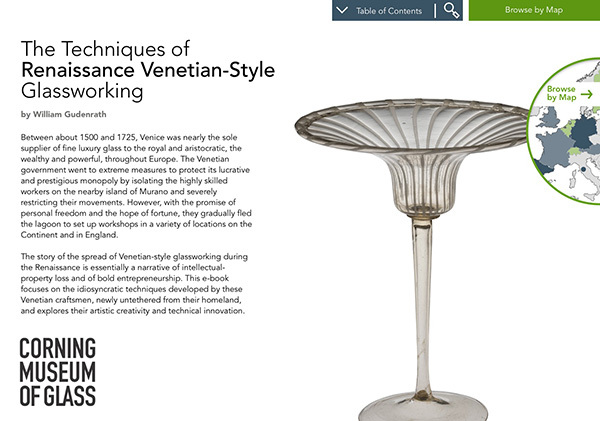 Full-sized mold blowing is relatively rare in Renaissance Venetian glass. A bubble of glass is lowered into a terra-cotta mold, blown hard, and the mold is opened, thus creating both the final size and the final decoration.